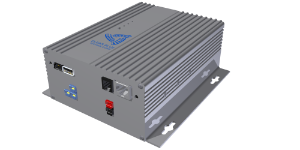 Clear Blue's Smart Off-Grid controllers provide excellent energy generation and control with high reliability, easy installation and full remote management and control over the Internet. For hybrid wind/solar systems, the Smart Off-Grid Solar Controller works with the Clear Blue Wind Module to manage systems powered by both solar panels and a wind turbine. The Wind Module supports both vertical and horizontal axis wind turbines, converting the energy produced to charge the batteries. It is part of Clear Blue’s Smart Off-Grid system, which includes an integrated communications network and Illumience Cloud Control for full remote control and management over the Internet. Fully digital controlled converter with a flexible and powerful control method and control strategy. Maximum power point tracking: The controller implements high speed MPPT in real time, by tracking the turbine’s power curves. The power curve can consist of up to 24 points defined by the user or chosen from the system defaults. Can charge different types of batteries implementing constant voltage and constant current charging with temperature compensation. PWM electromechanical braking: Automatic breaking is implemented using PWM chopper which achieves a step-less loading profile. The Wind Module will automatically start PWM voltage intelligent dump-load function once the wind turbine rotation speed or wind turbine voltage is more than the setting point. TVS lightning protection: The input is protected against lighting using transient voltage suppressors (TVS). Other important protection features to ensure high reliability and performance: Battery over-current protection, battery reverse connection protection, open battery protection, wind turbine automatic brake and manual brake, over load protection and short circuit protection.